While everyone is out looking for new ways to be healthy, you may already have a healthy habit right at your fingertips — literally. While knitting may not be considered a contact sport, there are plenty of reasons you should consider adding knitting (or more of it) to your daily routine. 1. Knitting relieves stress. Forget yoga or jogging, grab some yarn and knitting needles and get to work. Listener reports that 73 percent of people who knitted three times a week (or more) felt less stress and were able to organize their thoughts better. 2. Knitting relieves symptoms of depression. Knitting stimulates the brain and can help relieve symptoms of depression, according to the The Washington Post. A study actually discovered that 81 percent of knitters felt happier when they were done with their knitting sessions. 3. Knitting helps slow cognitive diseases. The Washington Post also reports that neurological activity produced by hobbies such as knitting actually reduced the effects of some diseases and slowed cognitive decline. 4. Knitting improves motor function. 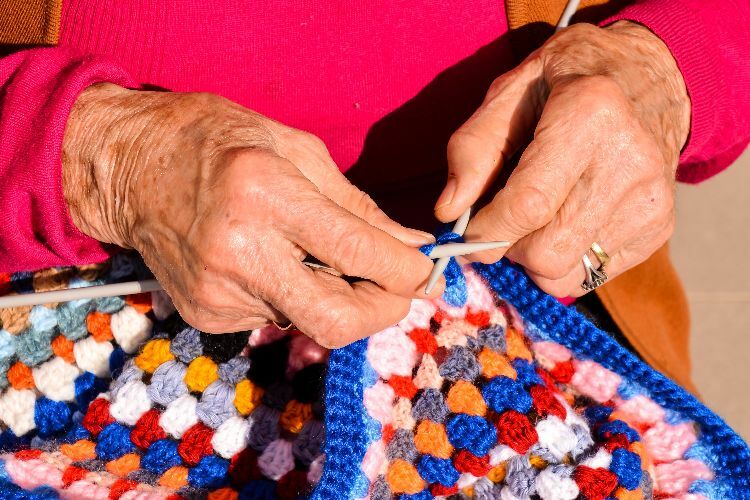 Using knitting needles could help improve motor function for patients with Parkinson's disease, according to The Washington Post. This is likely tied to strengthened muscles and muscle memory associated with knitting skills. 5. Knitting eases anxiety. According to the Listener, the rhythmic nature of knitting helps your body produce serotonin (a body chemical associated with calmness and happiness). Additionally, using two hands requires your brain to focus entirely on the job at hand so you can't think or worry about anything else. 6. Knitting can help with weight problems and eating disorders. One 2009 University of British Columbia study found that women who knitted could turn their attention away from eating and weight loss, so it can be very helpful for anorexia patients. It might also help people who want to lose weight: Since it keeps you busy, you don't have the time and you're not bored enough to keep munching. 7. 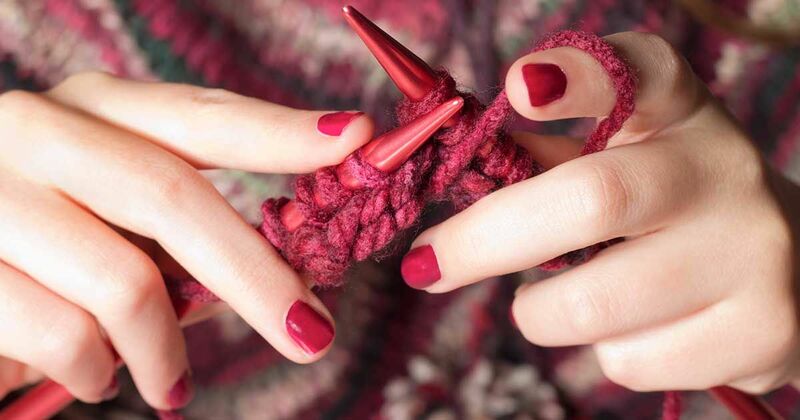 Knitting could boost your memory. Psychology Today reports that moving your eyes from side to side for 30 seconds at a time every day can boost your memory, and knitting definitely requires some serious eye movement! 8. Knitting is therapeutic for mothers of premature babies. Some hospitals encourage new mothers to try knitting a hat for their premature babies. The act of knitting helps relieve stress, and it keeps mom's hands occupied. This is particularly helpful for moms who can't hold their little ones for several weeks, according to The Washington Post. But it even helps fathers. A dad of a preemie daughter told The New York Times that "learning how to knit preemie hats gave me a sense of purpose during a time that I felt very helpless. It’s a hobby that I’ve stuck with, and it continues to help me cope with stress at work, provide a sense of order in hectic days, and allows my brain time to solve problems." Knitting can also help to cope with other types of health crises. 9. Knitting produced a sense of pride. Whether you struggle with depression, anxiety or addiction, working on a knitting project is a great way to feel a sense of accomplishment. Watching a project take shape in your hands in a great way to boost confidence. New York Times journalist Jane E. Brody describes knitting as "replacing stress and anxiety with the satisfaction of creation." 10. Knitting boosts brain power. Knitting requires concentration and focus. You also need to follow a pattern as you work. More exercise is good for every part of your body, including your brain. 11. Knitting helps your heart to stay healthy. Brody explains in The New York Times that knitting (and crocheting!) help reduce your blood pressure and heart rate, as well as levels of cortisol, a harmful hormone that has to do with stress. 12. Knitting may help to quit smoking. Basically, knitting makes it very difficult for you to smoke while crafting. Even if it's not magical, when it comes to quitting smoking, nothing is, so it may be the boost you need. 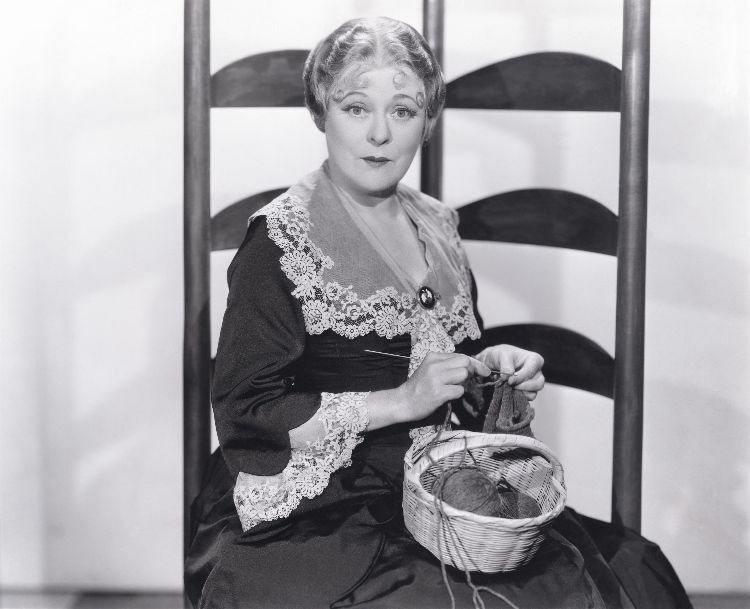 Experts warn that while knitting is great emotionally, you should take breaks every 20 to 30 minutes. Stretch, look around and move the rest of your body to relieve sore muscles and get your blood flowing again. Do you know someone who loves to knit? Pass on the good news and share these health benefits of knitting with your friends on Facebook.